Halloween is celebrated on October 31 each year. The holiday originated as the evening before All Hallow's Day, but likely has roots that go much further back. The Halloween practice of children dressing in costume to go trick or treating came from a tradition in Ireland and England. People would dress up on All Hallow's Eve to avoid being recognized by ghosts. They would also leave a bowl of food outside to appease the spirits. A carved pumpkin, also called a Jack O'Lantern, is another popular Halloween tradition. 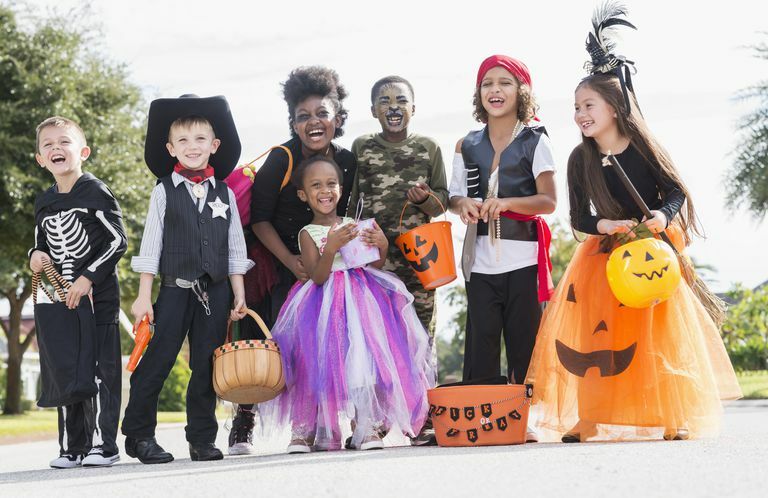 Other popular Halloween traditions include bobbing for apples, playing pranks on people, decorating in black and orange, and eating candy apples. Have fun learning about Halloween with these free printables. You might also want to try our collection of free fall printables. In this activity, students will define each of the Halloween-themed words or phrases in the word bank. They should write each word next to its correct definition. Discuss common items and activities with your students. Do they know why those things are associated with the holiday? After your discussion, let your children complete this Halloween word search activity. Students can review Halloween vocabulary in a fun way with this crossword puzzle. Each clue describes something related to the holiday. Students will fill in the puzzle using the correct word or phrase based on the clues provided. Let your children demonstrate how Halloween-savvy they are with this challenge activity. Each description is followed by four multiple choice options. Can your students get all of them correct? Let young students practice their alphabetizing words with this Halloween-themed worksheet. Children should write each word from the word bank on the blank lines provided. Print the pdf: Halloween Door Hangers Page. Decorate your house for Halloween with these door hangers. For best results, print them on card stock. Cut the door hangers out along the solid lines. Then, cut on the dotted line and cut out the small circle. Color the door hangers and place them on the door and cabinet knobs in your home. Invite your students to draw a Halloween-related picture. Then, use the blank lines to write about their drawing. Let your students color this page while you read a book about Halloween aloud. Remind them of the history of the Jack O'Latern. This fun coloring page depicts costumed trick-or-treaters. Ask your children about their Halloween costume plans. The Halloween party-goers in this coloring page are bobbing for apples. 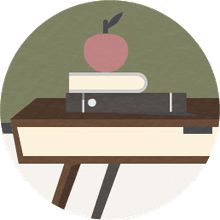 Ask your students to do some research to discover the history of apple bobbing and how it related to the holiday.